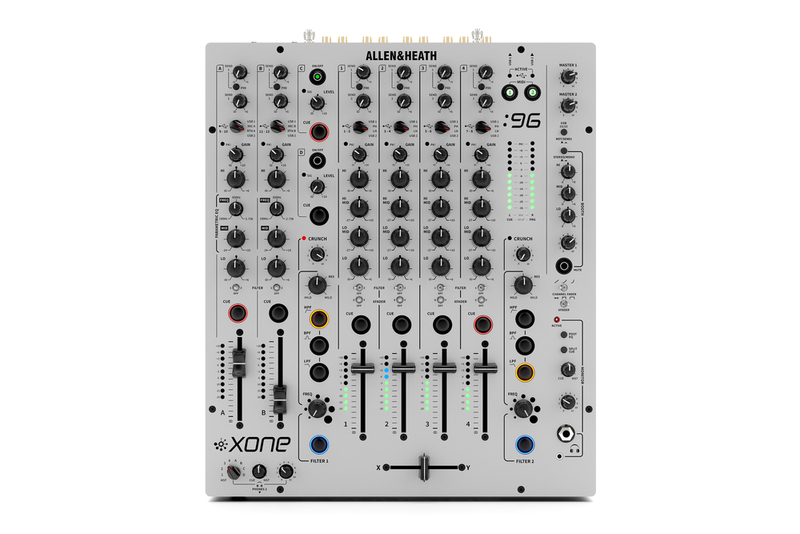 The Allen & Heath Xone 96 is club mixer for the serious and professional DJ. 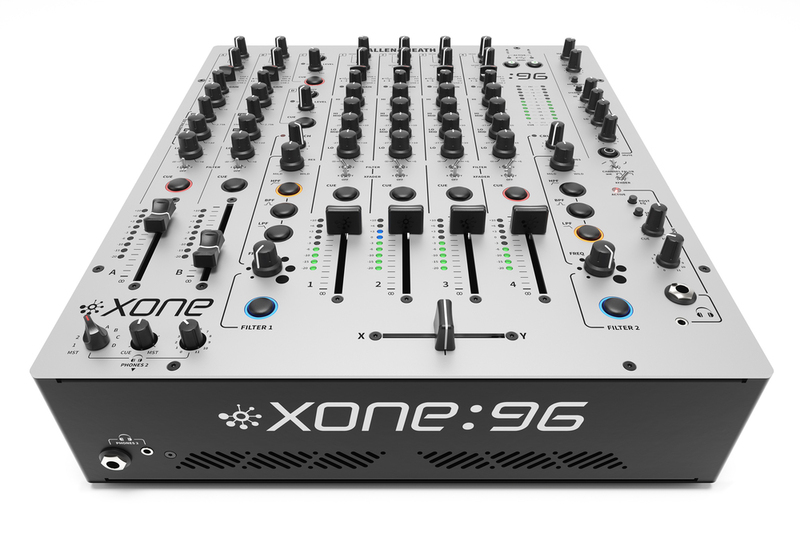 After listening to feedback from the DJ community, Allen & heath have released the Xone 96 that will meet even the most demanding DJ's expectations. It features dual soundcards and includes a innoFADER cross fader! 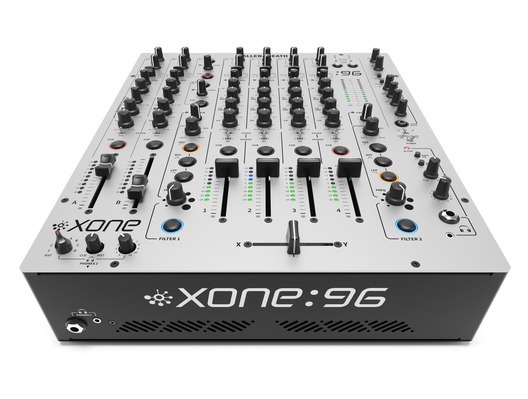 With a familiar layout of beautifully tactile controls and ground-breaking audio tools that allow the development of an individuals signature sound, Xone:96 enables users to easily connect their entire rig, from laptops and turntables, to pedals, synths and drum machines. There are two dedicated FX sends, four stereo input channels with 4-band EQ, two stereo inputs with all-new 3-band parametric EQ, two auxiliary stereo return channels and a separate master insert for outboard FX hardware. Underlining the professional club credentials of Xone:96 is a new, second and completely independent headphone cueing system, which taken alongside the dual soundcard, allows for smoother set transitions and back-to-back performances. Dedicated booth outputs using a new 3-band booth EQ facilitate the tuning of a venues monitor rig and artists using complex, hybrid, multi-channel software will celebrate the simplicity of using a single USB to connect their computer to Xone:96. Xone:96 draws on our rich heritage to create our most advanced analogue mixer yet, engineered from the ground up to deliver the legendary Xone analogue sound in the most flexible, powerful format. Xone:92 users will feel instantly at home with the Xone:96s layout. All four main stereo input channels feature the latest incarnation of our industry standard Xone 4-band EQ, the choice of countless international DJ artists. Stereo Return channels A and B are fully-featured, and incorporate an all-new 3-band parametric EQ design, giving you even more control over how you style your sound. Unlock a world of creative possibilities. 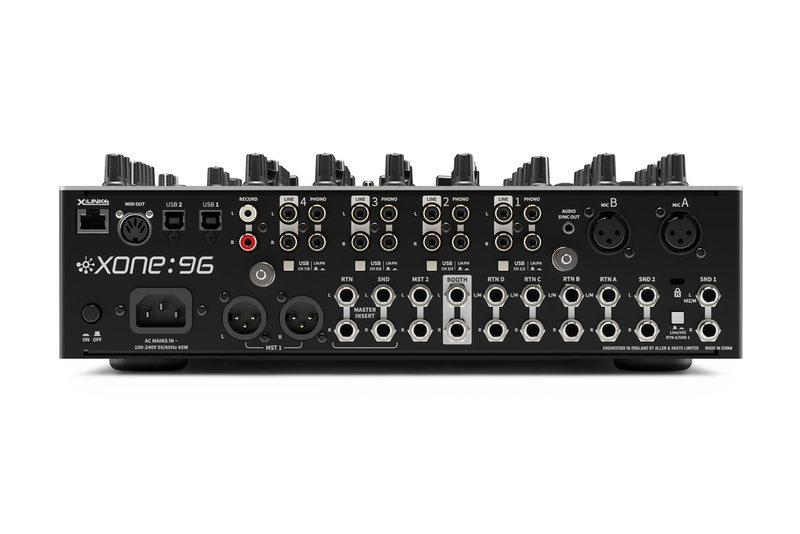 Xone:96 features two independent USB connections, each with 6 stereo inputs and outputs giving you a myriad of routing options. State-of-the-art 96kHz/32-bit processing ensures the highest audio quality is passed between your laptops and the analogue engine. Additionally the Xone:96 soundcard supports DVS control of Native Instruments TRAKTOR SCRATCH PRO 2 DJ software right out of the box. Nothing comes close to the sound and power of the Xone VCF filter. In Xone:96 weve refined this classic design, preserving its unmistakable sonic signature while taking its performance to the next level. Alongside the classic HPF, BPF, LPF, resonance control and frequency sweep layout, theres CRUNCH, a controlled harmonic distortion that sits pre-filter in the circuit to give you a powerful new effect. Xone:96 lets you route all six main channels to either filter. Underlining the professional club credentials of Xone:96 features two independent headphone CUE systems. Combined with the dual soundcard, these allow for back-to-back performances and smooth set transitions. Dedicated booth outputs with 3-band booth EQ let you tune the monitor system perfectly. And artists using complex, hybrid, multi-channel software will benefit from the simplicity of using a single USB to connect their computer to Xone:96. Xone:96s rear panel is fully-loaded with I/O. Alongside all the analogue connections youd expect to find, DJs will welcome the addition of 2 stereo sends, 4 stereo returns and a dedicated master insert. Send 1 is switchable from Line to Hi-Z level, making it ideal for incorporating instrument level effects, like classic guitar pedals. X-Link allows you to hook up Xone:K series controllers to the Xone:96 for hands-on control over your software, saving USB ports on your laptop. MIDI I/O is catered for via the 5-pin connection on the rear panel, and via both USBs. Built to last, Xone:96 features custom-designed 60mm linear VCA channel faders. Perfectly balanced, they offer smooth performance and precise control. In the crossfader position, Xone:96 comes equipped with the industry-favourite Innofader Mini, complete with fader cut adjustment for our sharpest cut ever. Weight: 7kg / 15.4 lbs.